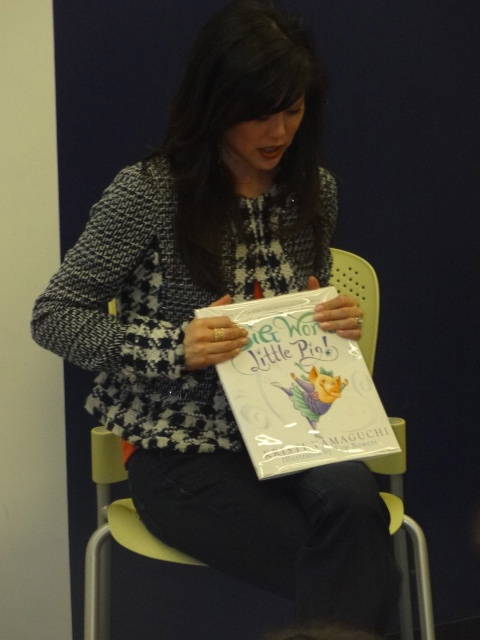 Olympic Figure Skating Champion and Dancing With the Stars Winner Kristi Yamaguchi has written a new children’s book (Dream Big, Little Pig) and has made her way to the DMV (District of Columbia, Maryland and Virginia) to read from her book and offer book signings and also autographs on your ice skates. 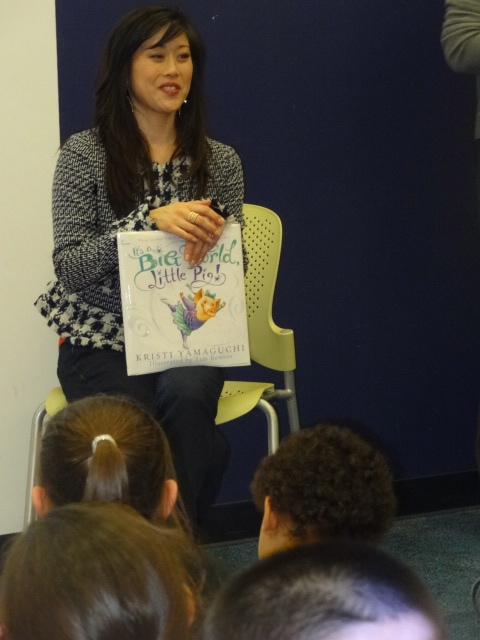 We were able to attend her book reading at the Martin Luther King Jr. Library in Downtown DC where Kristi read the story to at least 40 children and over 100 parents. 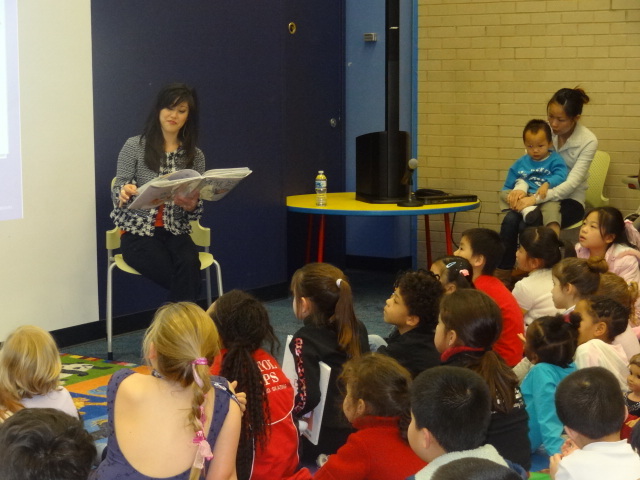 Dream Big, Little Pig is a sweet story about courage and perseverance. 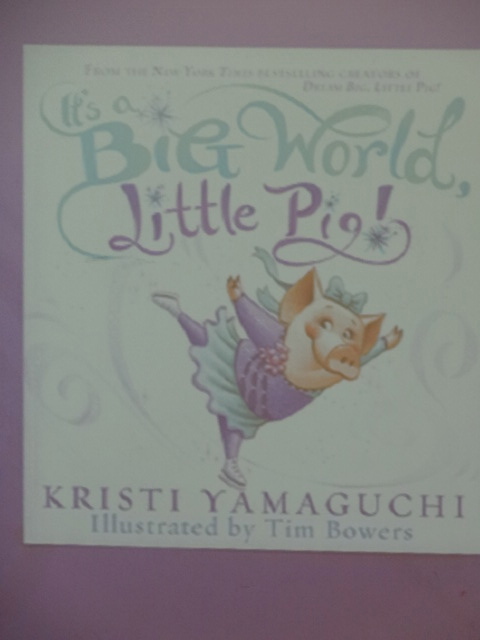 The story is about Poppy, a pig who tries on one thing after another (singing, modeling, ballet). She discovers that she’s not really that good at any of those things. Her mother, grandparents and best friends do their best to keep her spirits high by encouraging her to continue to dream big. After following her heart, Poppy realizes that she’s able to live her dream after all.